Carl Weathersby was born in 1953, in Jackson, Mississippi and moved to East Chicago, Indiana with his family when he was eight. When he started playing guitar as a teen he said his father always had musician friends stopping by the house. One that used to come by often was this big guy that Carl only knew as Albert, the mechanic. Albert happened to be watching the young Weathersby practicing some Albert King songs on guitar one day. Carl said he had been practicing this one song called 'Cross Cut Saw,' playing it over and over until he said, 'I think I got it. So I started playing it and this guy said, 'man, that ain't the way that song goes, that ain't the way I played it.' It turned out to be Albert King who proceeded to show an amazed Weathersby just how it was supposed to be played. King offered some welcome encouragement to Carl and took a liking to the young lad. After his tour of duty in Viet Nam, Carl found employment as a steel mill worker, as a prison guard and even a police officer. 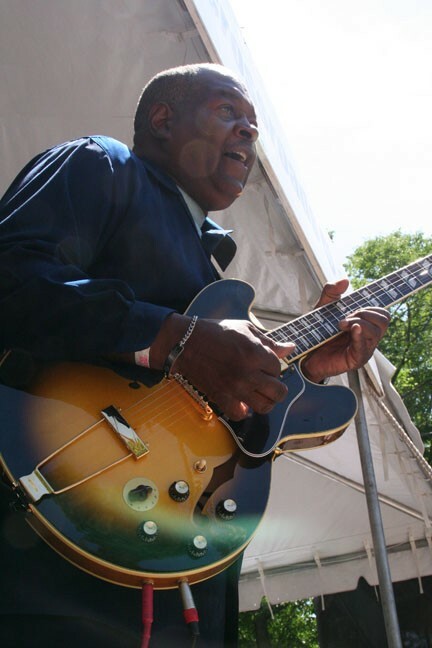 Weathersby was Albert King's rhythm guitarist between 1979 and 1982, and then spent some 15 years with Billy Branch's Sons of Blues as lead guitarist before striking out on his own. His debut solo album on Evidence Records, 'Don't Lay Your Blues On Me', was nominated for the W.C. Handy 'Blues Album of the Year' award. His latest release 'Hold On' is available online at Cdbaby.com. Mixing Southern charm, soulful vocals, and fierce guitar-playing, Carl plays the blues, from down-and-dirty to scintillating Albert King influenced chops. This is one powerful blues performer that will leave you amazed and thoroughly entertained.